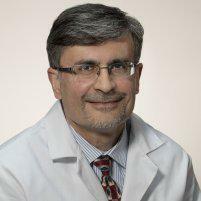 Dr. Memon offers the most effective care for the treatment of intestinal damage of celiac disease for patients in and around the areas of Conroe and Woodlands in Texas. Celiac disease is an autoimmune disease in which the consumption of gluten (a protein found in wheat, barley, and rye) triggers an intestinal immune response. It causes damage to the lining of the small intestine when foods with gluten are consumed. Celiac disease is not the same thing as a gluten allergy, intolerance, or sensitivity. Although the majority of people with Celiac disease are symptomatic, some people may have no symptoms at all. What are the symptoms of celiac disease? The first step towards diagnosing celiac disease is to take a full medical history and physical exam. If celiac disease is suspected, a blood drawing will be taken to be tested. A variety of tests will be done that can point towards a diagnosis of celiac. If a celiac panel is positive, the diagnosis must be confirmed by biopsy during an endoscopy because this test is much more accurate than the celiac panel. This is done under sedation, at which time the physician examines and takes biopsies of the small intestine with a thin, lighted, flexible endoscope. It is important to read the ingredient labels on items bought in the grocery store to see if there is any source of gluten in the product. It is also important to ask servers when eating out if meals contain hidden sources of gluten, or if meals may be cooked in ways that contaminate food with gluten.